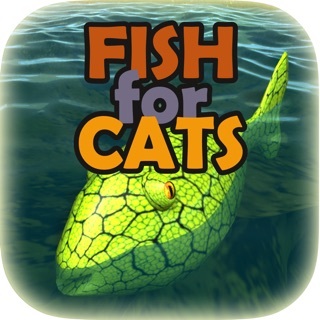 Fish Sim for Cats is a high quality fish simulator made for cats! 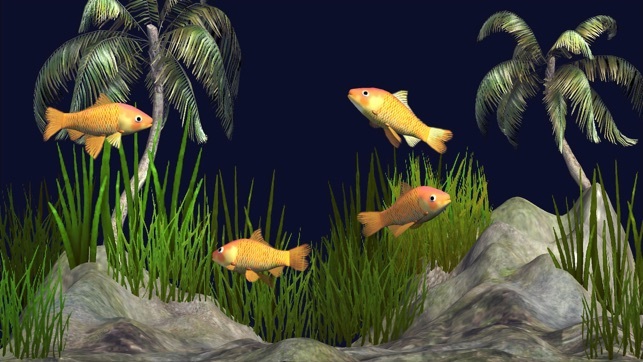 It features beautiful graphics and ultra-realistic goldfish. 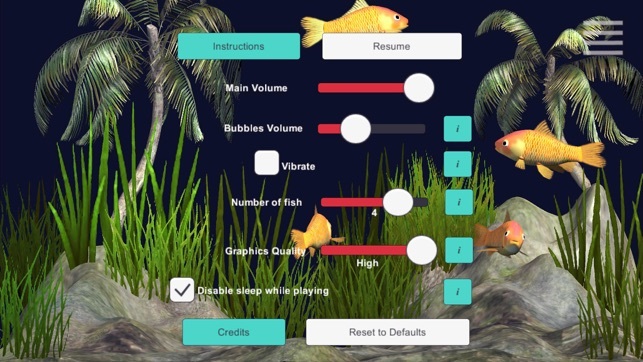 Play with the fish directly or view them in aquarium mode. 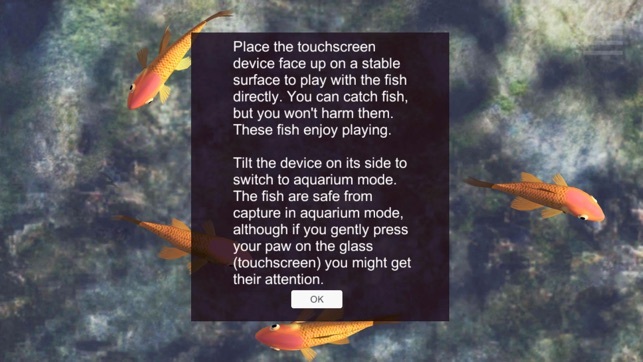 Place the touchscreen device face up on a flat surface to play with the fish directly. You can catch the fish. But don't worry, you won't hurt them. 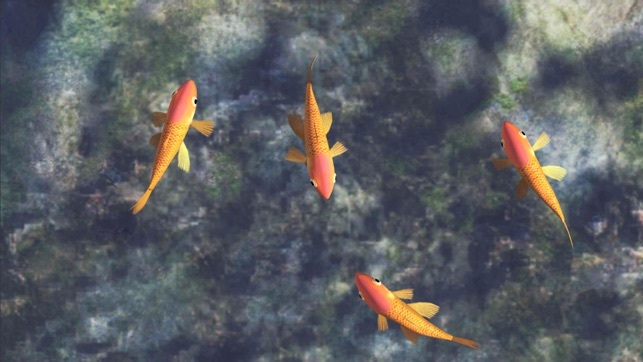 These fish enjoy playing. Tilt the device on its side to switch to aquarium mode. 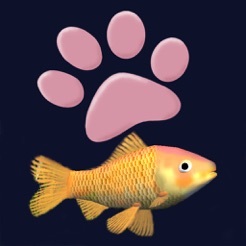 The fish are safe from capture in aquarium mode, although if you gently press your paw on the glass (touchscreen) you can get their attention; they will likely approach your paw to say hello. To access the configuration menu, touch anywhere on the screen and the (slightly transparent) menu icon will appear. Press and hold the menu icon. When the menu appears you can use it to change features and the number of fish. For best results it is recommended that your device's brightness be adjusted manually in your device's settings menu. 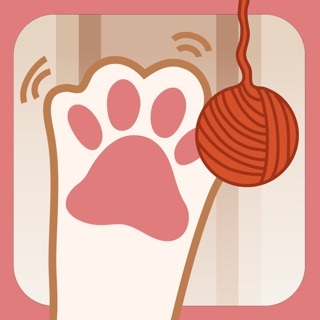 This app is designed for tablets, but it works on phones and smaller devices too (for smaller cats [and kittens!]). 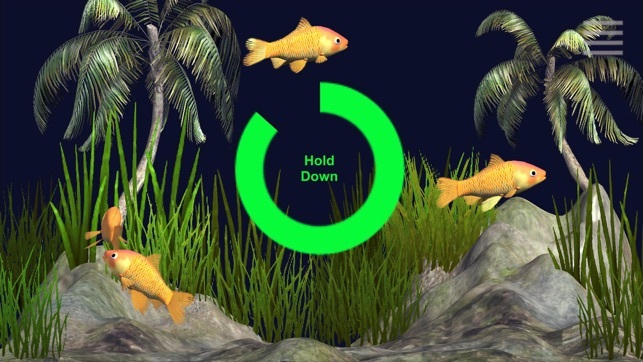 Nice graphics and sound, but the fish don’t move or swim away when touched. Very uninspiring for my cats.